As photographer I am based in Belgium, traveling throughout Europe to capture the beauty and dynamism of the most photogenic cities and landscapes. 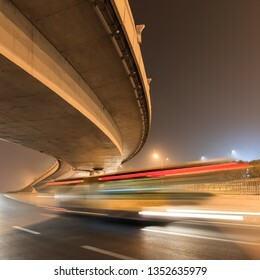 6,494 stock photos, vectors, and illustrations are available royalty-free. ANTWERP-FEB. 15, 2019. 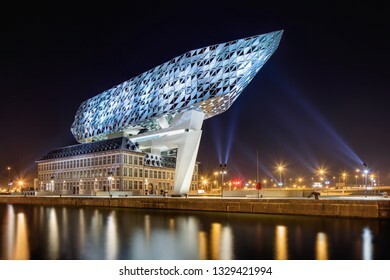 Port House Antwerp at dusk. Zaha Hadid Architects added a glass extension to a renovated fire station. With a total of 12,800 square meters the headquarters houses a 500 staff. ANTWERP-NOV. 28, 2018. 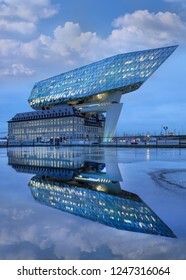 Antwerp Port headquarters. Zaha Hadid Architects added a glass extension to a renovated fire station. With a total of 12,800 square meters the headquarters houses a 500 staff. 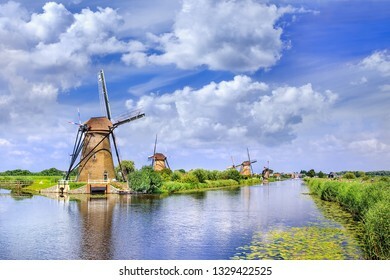 Ancient wind mills near a blue canal on a summer day at the famous Kinderdijk, Holland. ANTWERP-FEB. 15, 2019. 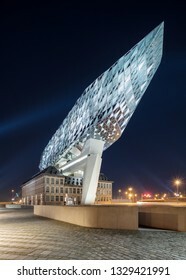 Port House Antwerp at night. Zaha Hadid Architects added a glass extension to a renovated fire station. With a total of 12,800 square meters the headquarters houses a 500 staff. 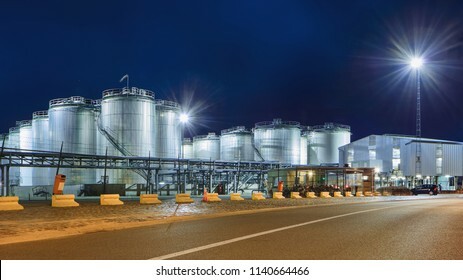 Massive tanks at illuminated petrochemical production plant at nighttime, Port of Antwerp, Belgium. TILBURG-APRIL 7, 2019. 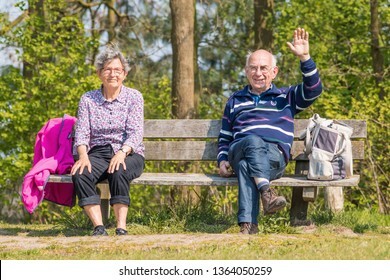 Cheerful elderly couple on a wooden bench. 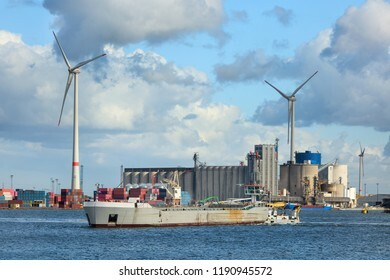 The Dutch population is ageing rapidly. The main causes are decline of the fertility rates since 1970s and rising life expectancy. EINDHOVEN-MARCH 22, 2019. 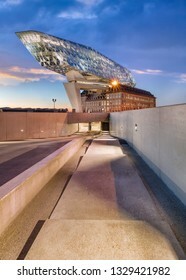 The organic shaped Blob building, a futuristic design by architect Massimiliano Fuksas. 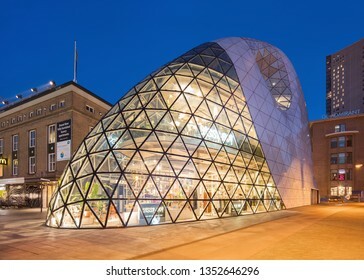 It is a landmark in Eindhoven, famous for its mix of technology, design and culture. EINDHOVEN-MARCH 7, 2019. 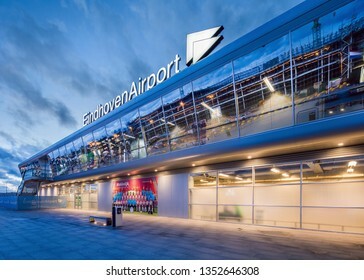 Eindhoven Airport at twilight. 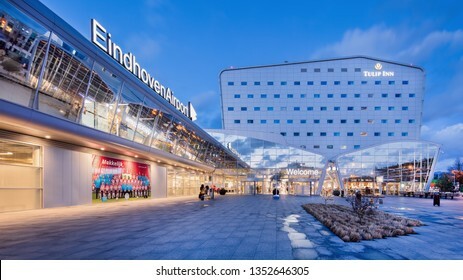 The airport is located close to Eindhoven and with annually 5.7 million passengers it is also the second largest airport in the Netherlands. EINDHOVEN-MARCH 22, 2019. 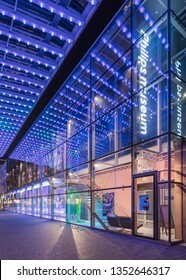 Illuminated facade of the Philips Museum at night. It is housed at the historic location where, in 1891, Gerard Philips manufactured his first incandescent light bulb. XIAMEN-MARCH 25, 2009. Exterior of South Putuo Temple, a famous Buddhist temple founded in the Tang Dynasty. 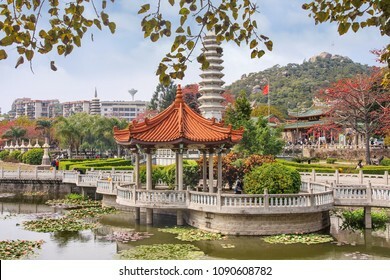 It is currently one of the must-go tourist places in the city Xiamen, Fujian Province. SHANGHAI-AUGUST 22, 2014. 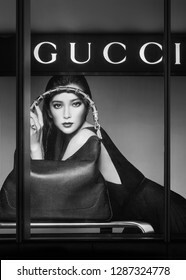 Window of a Gucci outlet. The luxury goods sales will grow 20%-22% in mainland China in 2018, at least doubling the rate of growth seen anywhere else in the world. BEIJING-SEPT. 26, 2012. 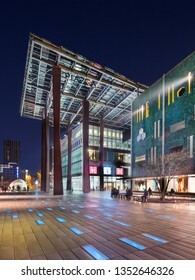 Modern architecture at Sanlitun Village Beijing, which is an ultra-cool and trendy outdoor shopping area full of international brands, large chain stores and fancy restaurants. YANTAI-OCTOBER 26, 2018. Hua An International Hotel against a blue sky. 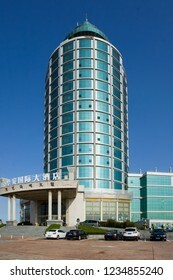 The green cylindrical shaped building is a landmark in the Yantai coastal area. The hotel is located right on the sea. SHANGHAI-AUGUST. 29, 2014. 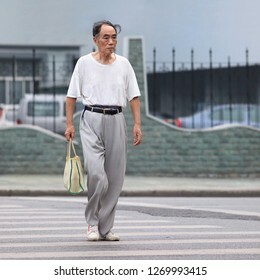 Chinese senior on a zebra crosing. 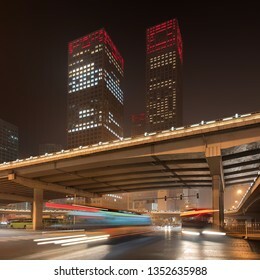 Three decades ago, only 5% of China’s population was over 65 years. 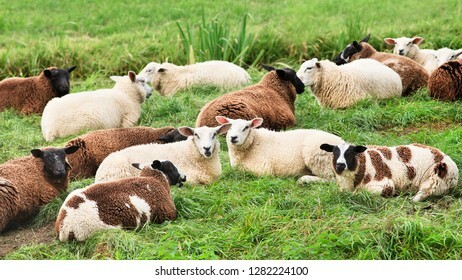 Today, 123 million people, or 9% of the population are over 65. 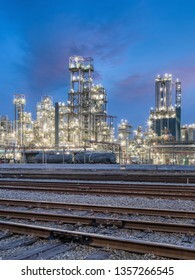 Illuminated petrochemical production plant at twilight in Port of Antwerp industrial area. BRUSSELS-AUGUST 5, 2018. Brussels Airport. 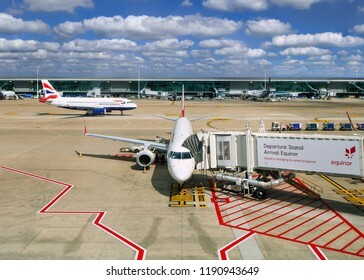 It currently consists of 54 contact gates and a total of 109 gates. It is home to around 260 companies which together directly employing 20,000 people. 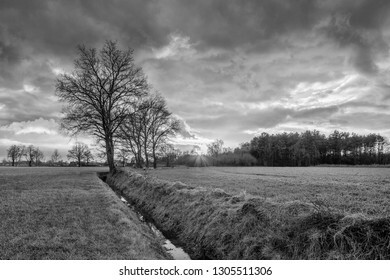 Rural scenery, field with trees near a ditch and sunset with dramatic clouds, Weelde, Flanders, Belgium. ANTWERP-MAY 9, 2018. 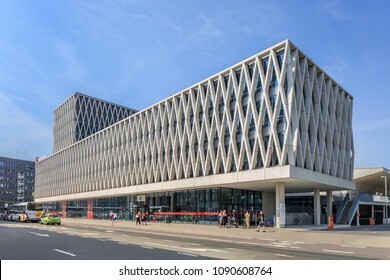 AP University building with several campuses in Antwerp center, the economic heart of Belgium thanks to the international port and has also a world famous diamond industry. YANTAI-CHINA-OCT. 28, 2018. 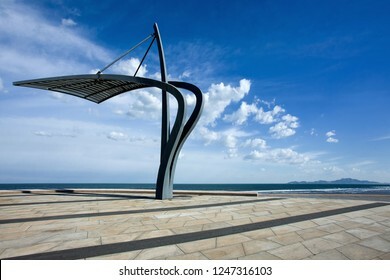 Architectural sculptures at Yantai Gold Coast area, a unique 10 km long landscape journey that blends nature, urban life, and leisure design by urban designer Edwin Chan. 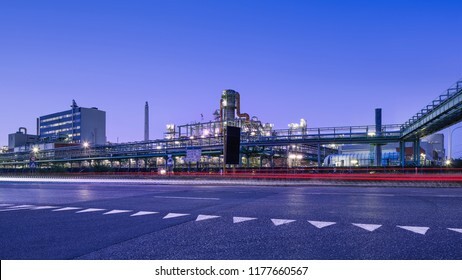 Night scene with Illuminated petrochemical production plant, Antwerp, Belgium. ANTWERP-MAY 21, 2018. 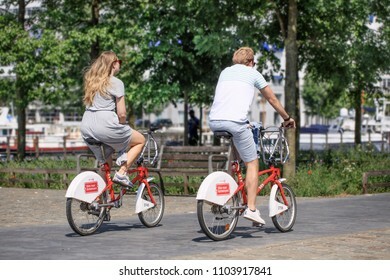 Young couple on Velo rental bikes, a form of public transport, easily to combine with train, tram and bus. The first half hour of each ride is included in the registration fee. YANTAI-JULY 24, 2013. 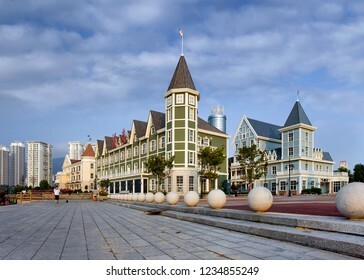 Replica mansions at Yantai coastal area. Yantai is a developing city at the southern coast of Korea Bay. 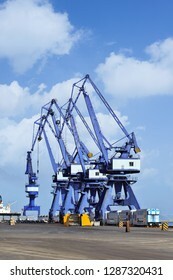 It invests heavily to make Yantai one of China’s most livable cities. ANTWERP-JUNE 5, 2018. 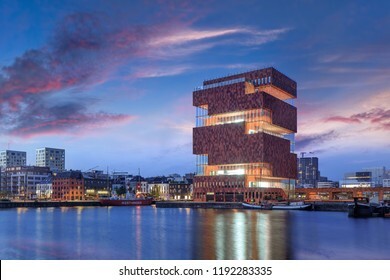 MAS Museum Antwerp at twilight. 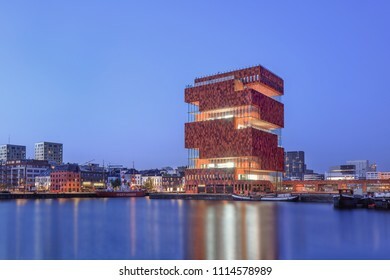 It is the biggest museum of Antwerp and one of the city’s architectural highlights, located in an old harbor on a small island near Willmdok. ANTWERP-JUNE 5, 2018. 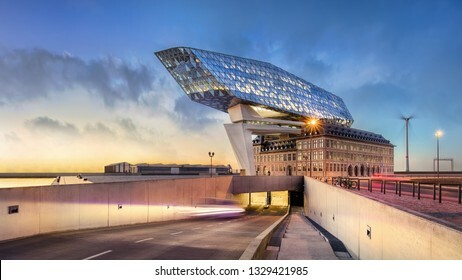 MAS Museum Antwerp at daybreak. 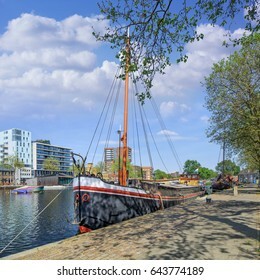 It has opened in 2011, located in an old harbor on a small island, exhibits variety of topics, emphasis is on connection between city and world. 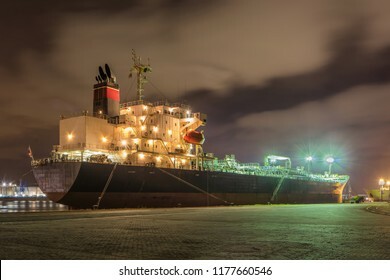 Illuminated oil tanker at night with dramatic clouds, moored at Port of Antwerp, Belgium. 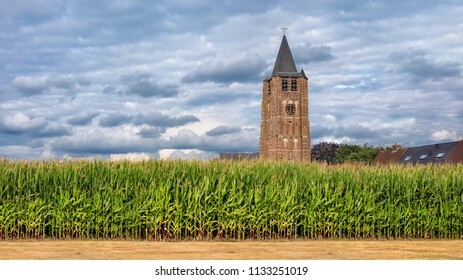 BRABANT-NETHERLANDS-JULY 16, 2018. 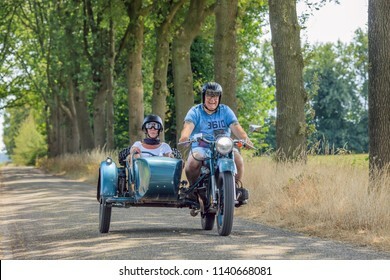 Cheerful couple on classic motor with sidecar. The Netherlands has a large group of enthusiasts riding old fashion bikes, feeling the spirit of iconic machines. 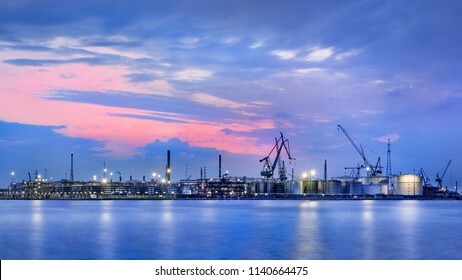 Panorama of a petrochemical production plant against a dramatic colored cloudy sky at twilight, Port of Antwerp, Belgium. 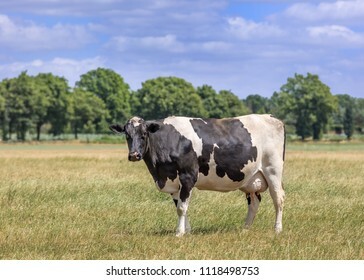 Holstein-Friesian cattle in a green meadow with forest on the background, The Netherlands. 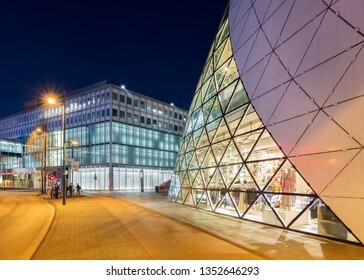 TILBURG-APRIL 7, 2019. 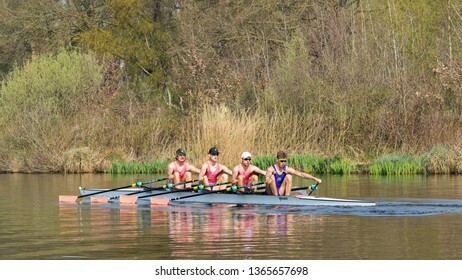 A student rowing club Vidar male team in a four seat regatta in a tranquil Wilhelmina canal. Over the last decades, several Vidar members have reached the Olympic level. TILBURG-APRIL 7, 2019. 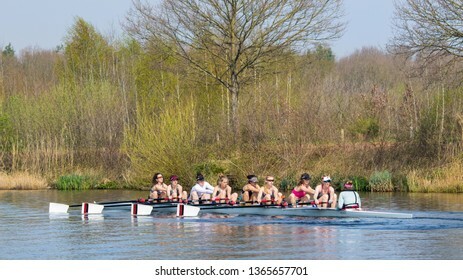 A student rowing club Vidar female team in a nine seat regatta on a tranquil Wilhelmina canal. Over the last decades, several Vidar members have reached the Olympic level. 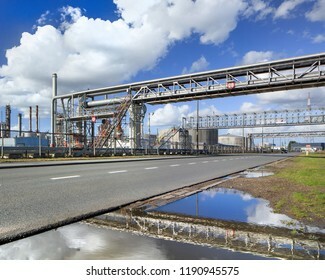 BRABANT-APRIL 7, 2019. 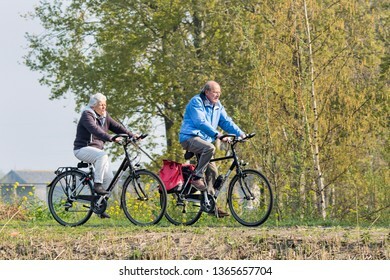 A senior couple enjoys the spring weather on a bike tour. Dutch people like to cycle in their bicycle-friendly country with 22 million bikes and over 35,000 KM bike paths. 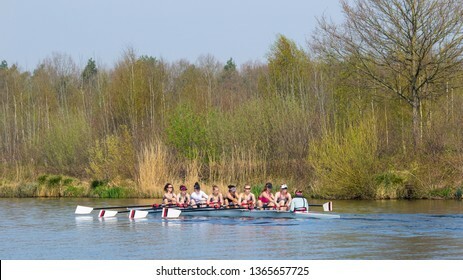 BRABANT-APRIL 7, 2019. 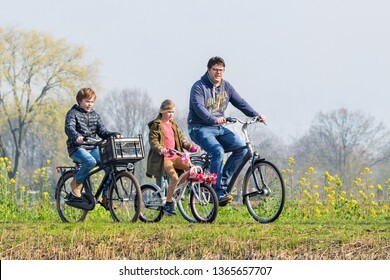 A father has a recreational cycle tour with his kids on a spring day. Dutch people love cycle in their bicycle-friendly country with 22 million bikes and 35,000 KM bike paths. 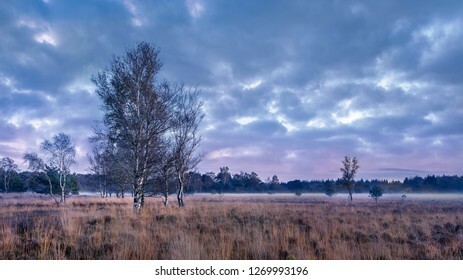 BRABANT-APRIL 7, 2019. 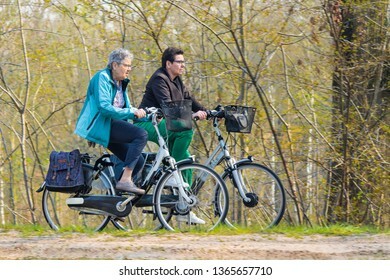 Two elderly women enjoys the spring weather on a bike tour. Dutch people like to cycle in their bicycle-friendly country with 22 million bikes and over 35,000 KM bike paths. 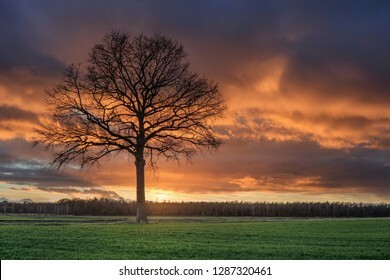 BRABANT-APRIL 7, 2019. 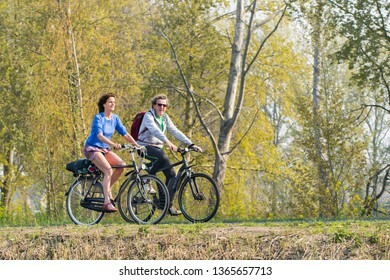 Middle aged couple enjoys the spring weather on a bike tour. Dutch people like to cycle in their bicycle-friendly country with 22 million bikes and over 35,000 KM bike paths. TILBURG-APRIL 7, 2019. 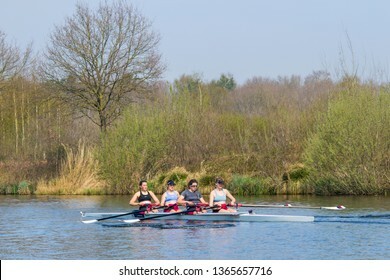 A student rowing club Vidar female team in a four seat regatta on a tranquil Wilhelmina canal. Over the last decades, several Vidar members have reached the Olympic level. 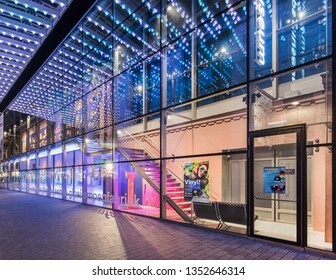 TILBURG-APRIL 7, 2019. 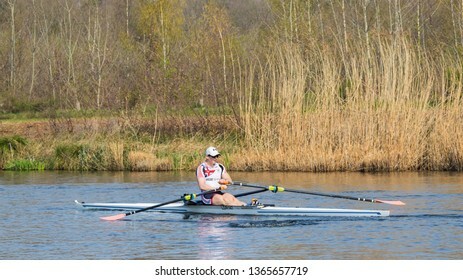 A student rowing club Vidar member in a single seat regatta on a tranquil Wilhelmina canal. Over the last decades, several Vidar members have reached the Olympic level. 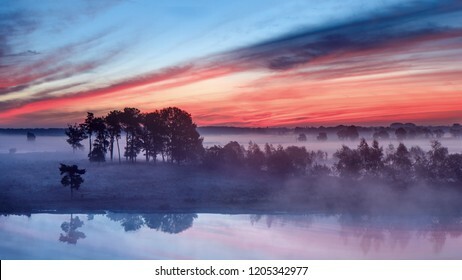 BRABANT-APRIL 7, 2019. 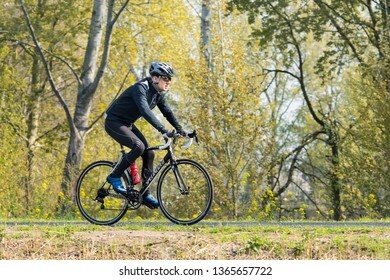 Cycle runner is training on a spring day in a green environment. In the southern part of the Netherlands like Brabant Province, road cycling and sport cycling are very popular. 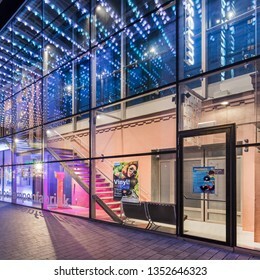 TILBURG-APRIL 7, 2019. 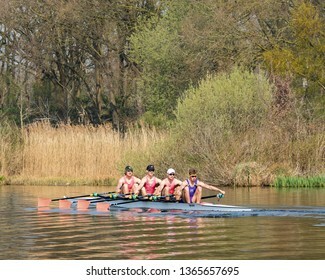 A group of rowers from the student rowing club Vidar competing with each other in the Wilhelmina canal. Over the last decades, some Vidar members reached the Olympic level. THE HAGUE-AUGUST 23, 2014. 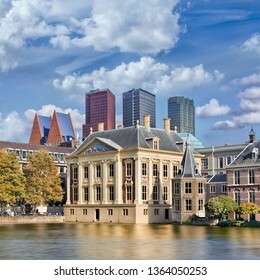 The Mauritshuis was originally a city palace, built for Johan Maurits count of Nassau-Siegen, and has been a museum since 1822 with mainly paintings from the Golden Age. TILBURG-APRIL 7, 2019. 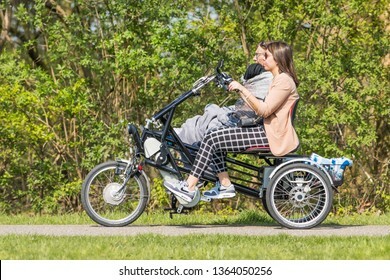 People on a Van Raam's Fun2Go duo bicycle, a special three wheels tandem bike, or side-by-side tandem because you are seated next to each other rather than behind one another. TILBURG-APRIL 7, 2019. 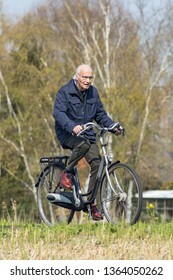 Cycling male senior enjoys the spring weather. According The European Cyclists Federation, Holland is the European bike safety top. Most of the Dutch don’t even wear helmets. TILBURG-APRIL 7, 2019. 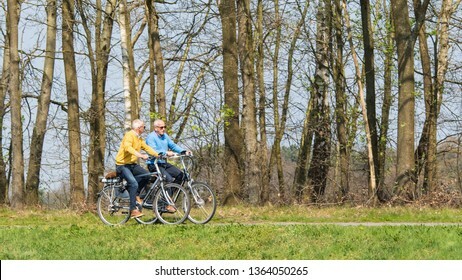 Cycling elderly men enjoys spring weather. 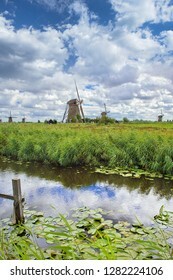 Holland has a population of 17 million people and 22 million bikes. The country has over 35,000 kilometers of dedicated bike paths. TILBURG-APRIL 7, 2019. 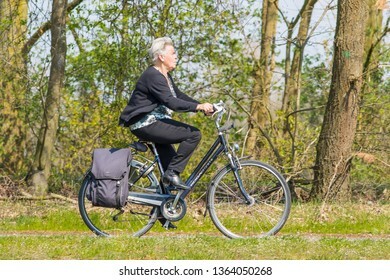 Cycling elderly woman enjoys the spring weather. According The European Cyclists Federation, Holland is the European bike safety top. Most of the Dutch don’t even wear helmets. TILBURG-APRIL 7, 2019. 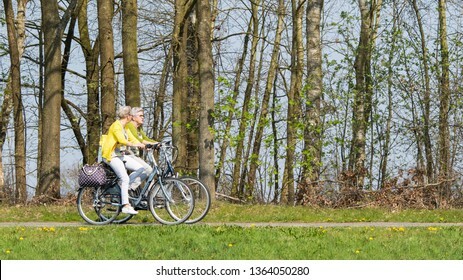 Cycling elderly women enjoys spring weather. Holland has a population of 17 million people and 22 million bikes. The country has over 35,000 kilometers of dedicated bike paths. 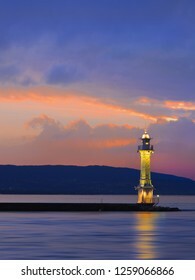 Antique lighthouse at multicolored dramatic sunset, Lake Geneva, Switzerland. ROTTERDAM- FEBRUARY 14, 2018. 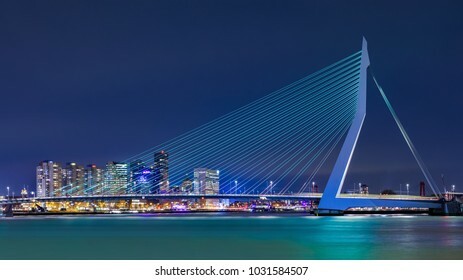 The Erasmus Bridge at night. 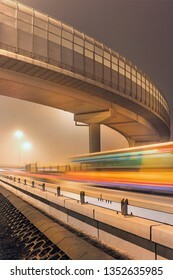 The 284m long bridge was designed by Ben van Berkel (UNStudio) and connects Kop van Zuid with the city center. It has the nick name The Swan. 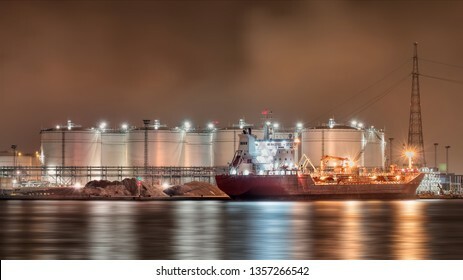 Night scene with moored tanker at embankment of Illuminated petrochemical production plant, Port of Antwerp, Belgium. 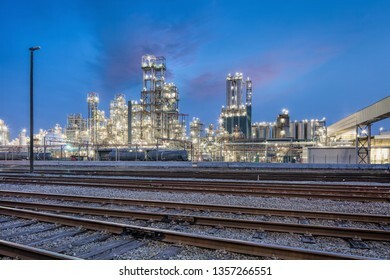 Night scene with illuminated petrochemical production plant with train tracks in front, Antwerp, Belgium. 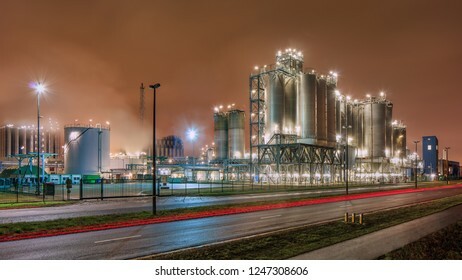 Night scene with silos on Illuminated petrochemical production plant, Antwerp, Belgium. EINDHOVEN-MARCH 29, 2019. The Kennedy tower at twilight. 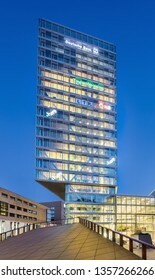 The office building designed by Van Aken Architecture has 21 floors and is 83 meters high. 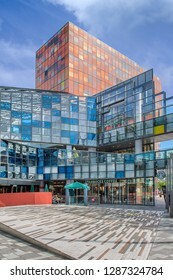 It is one of the tallest buildings in Eindhoven. EINDHOVEN-MARCH 29, 2019. The Kennedy tower at nighttime. The office building designed by Van Aken Architecture has 21 floors and is 83 meters high. 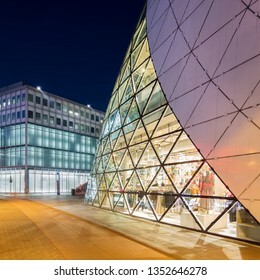 It is one of the tallest buildings in Eindhoven. CHANGCHUN-AUG. 10, 2018. View on urban area. 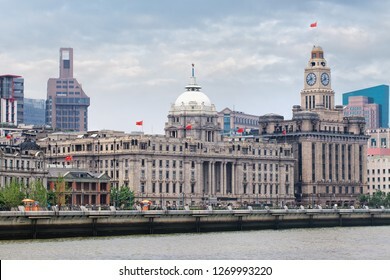 Changchun is the capital of Jilin Province. 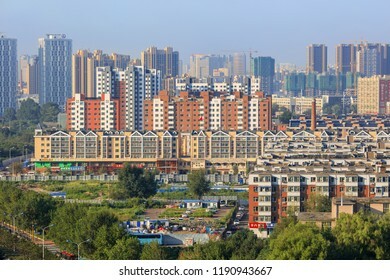 According to the 2010 census of China, Changchun had a total population of 7,674,439 under its jurisdiction. ANTWERP-FEB. 25, 2018. 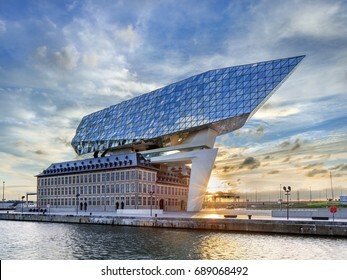 Port House Antwerp at dawn. Zaha Hadid Architects added a glass extension to a renovated fire station. With a total of 12,800 square meters the headquarters houses a 500 staff. 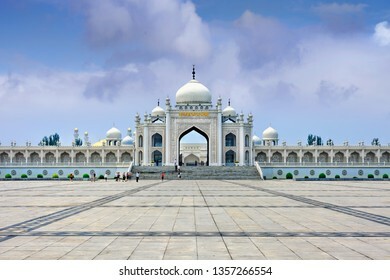 YANTAI-CHINA-OCT. 23, 2018. 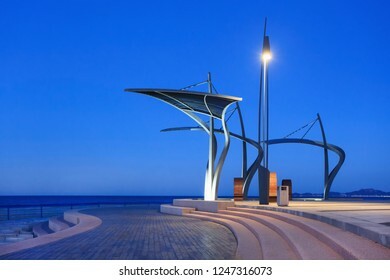 Architectural sculptures at Yantai Gold Coast area, a unique 10 km long landscape journey that blends nature, urban life, and leisure design by urban designer Edwin Chan. 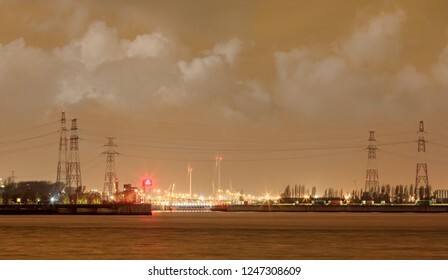 Night scene Antwerp Port with illuminated container terminal, Belgium. BEIJING-AUG. 4, 2016. 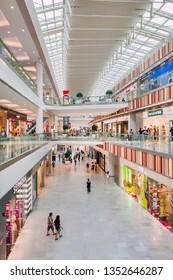 Inside Livat shopping mall. 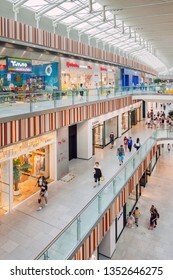 Owned by Inter Ikea Centre Group, its design is uniquely Scandinavian with a spacious atrium for visitors searching for a unique airy indoor space. BEIJING-MAY 18, 2016. 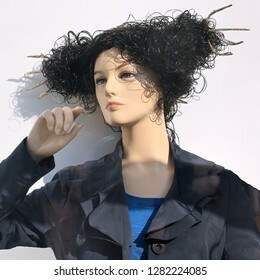 Display mannequin in a fashion outlet window. 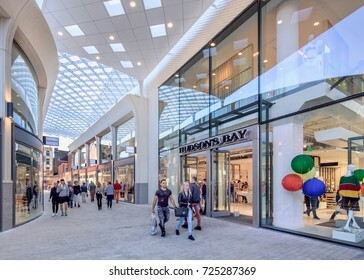 According to a recent McKinsey report China is expected to overtake the United States as the largest fashion market in 2019. EINDHOVEN-MARCH 22, 2019. Illuminated entrance to 1250 bicycle underground parking facility at September square. Eindhoven want to stimulate its residents to visit the center of Eindhoven by bike. BEIJING-NOV. 13, 2014. Beijing Capital Airport T2, domestic and international flights to Shanghai, Xi'an, Chengdu, Lhasa, Hong Kong, Bangkok, Dubai, Kuala Lumpur, NY, Paris, San Francisco, Vancouver. BEIJING-MAY 18, 2016. Young Chinese couple with Starbucks coffee. 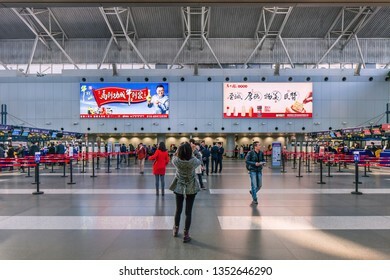 As of January, 2019, Starbucks had 3,521 stores in China, making it the second largest market after the US, according Statista.com. EINDHOVEN-MARCH 22, 2019. The 96-meter Regent residential tower at night, completed in 1999. It was the pioneer for high-rise buildings in the city. 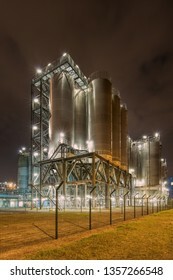 Recently, more towers were erected in Eindhoven. EINDHOVEN-MARCH 22, 2019. 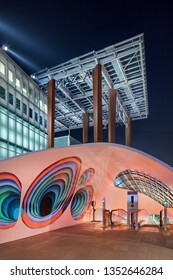 September Square with large canopy at Piazza shopping mall entrance, designed by architect Massimiliano Fuksas. 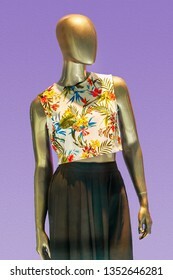 It offers various food, fashion, lifestyle & beauty stores. 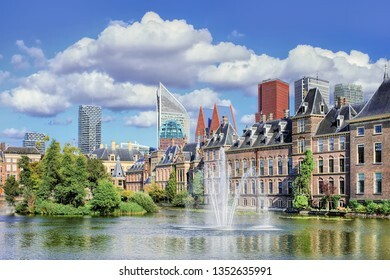 Hofvijver lake with a view on the Binnenhof, seat of Dutch government. ANTWERP-JULY 30, 2017. 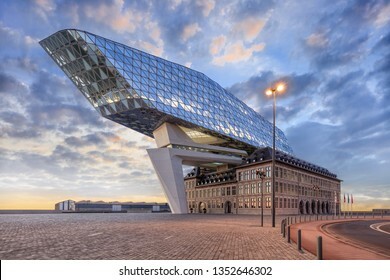 Port of Antwerp headquarters, design Zaha Hadid, former fire station with a massive sculpture on top with diamond shaped glass, tribute to trade for which the city is renowned. TILBURG-SEPTEMBER 23, 2017. New Hudson's Bay shopping mall. Hudson's Bay wants to be a premium department store in the Netherlands. Eventually they planned to open twenty stores in The Netherlands. ANTWERP-AUG. 24, 2017. 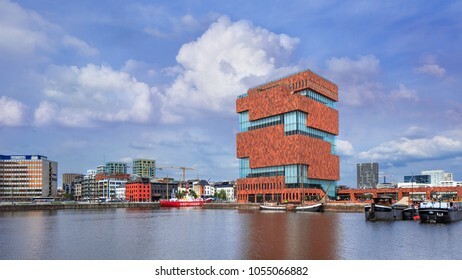 MAS Museum Antwerp. 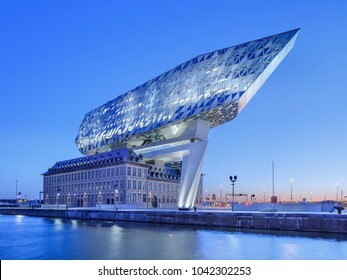 It has opens its doors in 2011, located in an old harbor on a small island, exhibits a variety of topics, emphasis is on connection between city and world. SHANGHAI-NOVEMBER 19, 2016. Lamborghini Gallardo on the street. 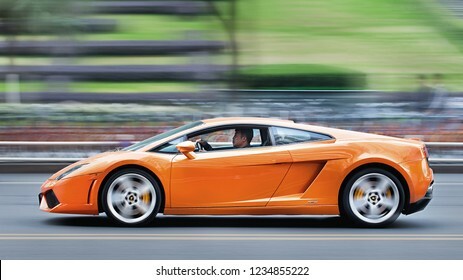 With a total of 2,327 cars delivered to customers around the world, Lamborghini reported another increase in worldwide deliveries. 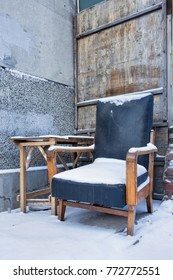 BEIJING-OCTOBER 25, 2011. 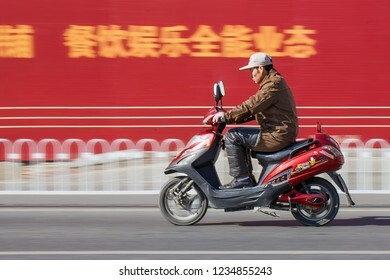 Chinese man on e-bike. A lot of electric bikes in China are the scooter style e-bike that may or may not have pedals. The Chinese e-bike market is the largest in the world. UTRECHT-MARCH 2, 2017. View on Utrecht Central Railway Station. 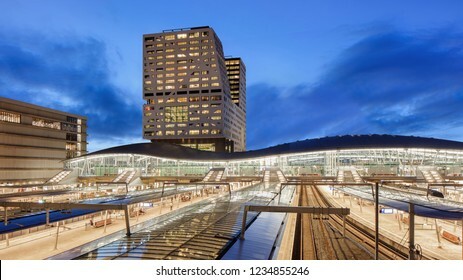 With sixteen platforms and more than 176,000 passengers per day it is the largest and also busiest railway station in the Netherlands.